We are available for contract work. PricingFreeware- use it for free! 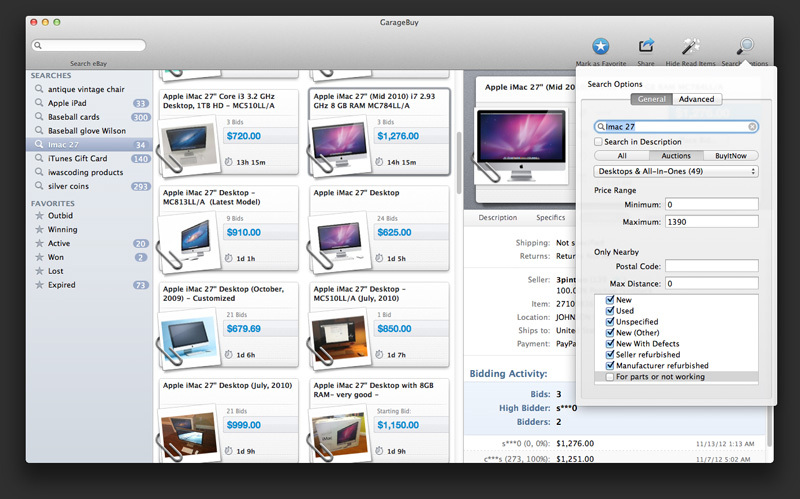 GarageBuy shows all item details including item specifics, bidding activity, read status and images. 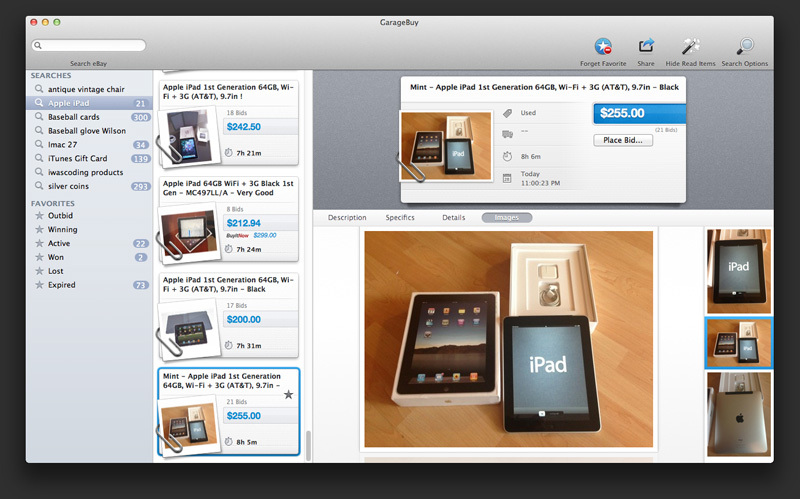 Add items to your favorites, share them, place bids or buy items right from within GarageBuy. 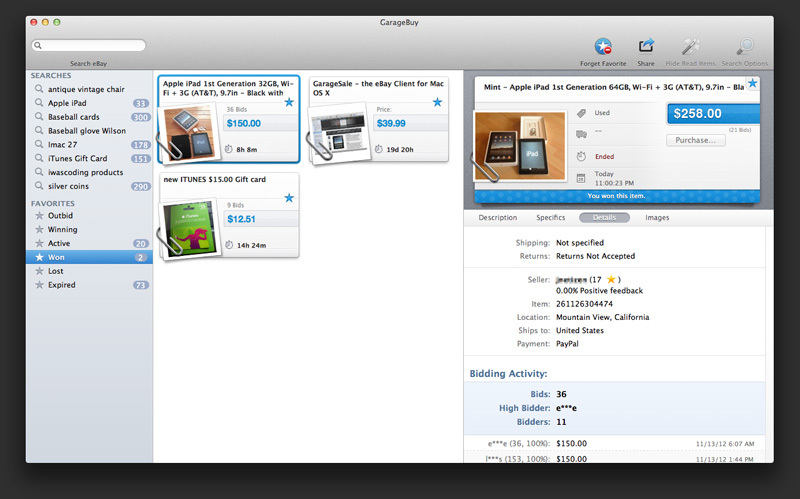 Easily place a bid from within GarageBuy. 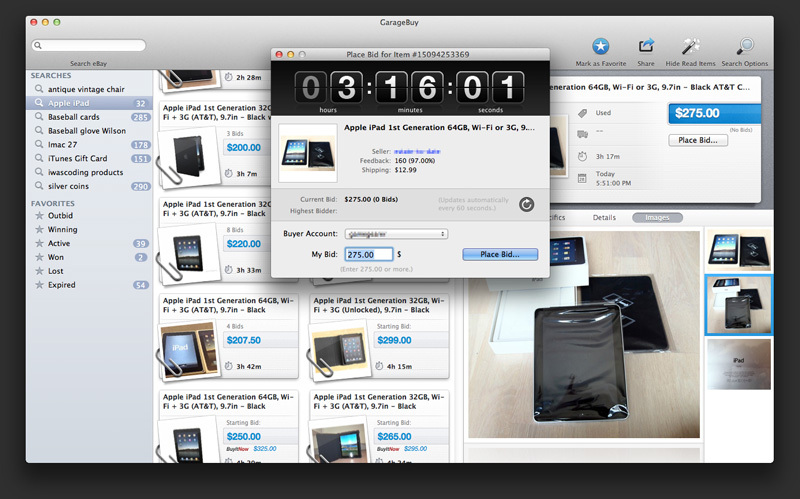 The bid panel provides you with a big countdown display. Edit your searches for a perfect result. See all images at a glance. 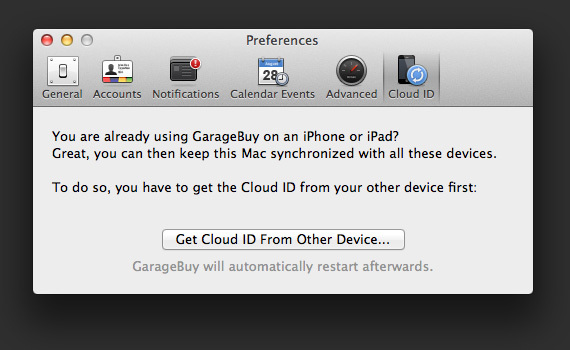 Control your eBay accounts, notifications settings, calendar events and the synchronization feature in GarageBuy's preferences.